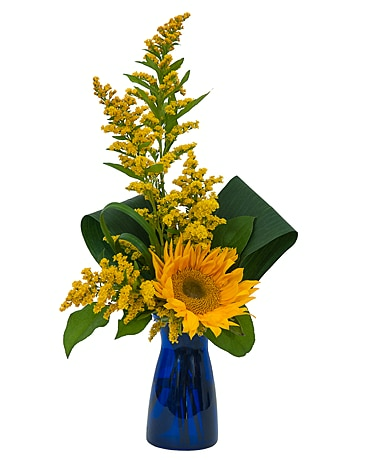 A single sunflower surrounded by yellow accents and premium foliage will spread joy. Need Services related to your home or business? We belong to a group of qualified professionals. Visit www.letipofschaumburg.com!